God is looking to us to be a generation of worshipers. In Isaiah 6 the Bible tells us that God wants us to live a lifestyle of worship. Worship is surrender. Worship is not just something we do on Sunday mornings. God is looking for us to be worshipers. God is calling us to be a generation that worships 24 hours a day, 7 days a week. Worship is more than just an emotional feeling. It’s us saying to God, “God I surrender with everything I have.” God is calling us to be a people that is truly and honestly sold-out to Him 100%. God’s desire for our lives is for us to hang on His presence all the time. Worship is not something we do because it makes us feel good. 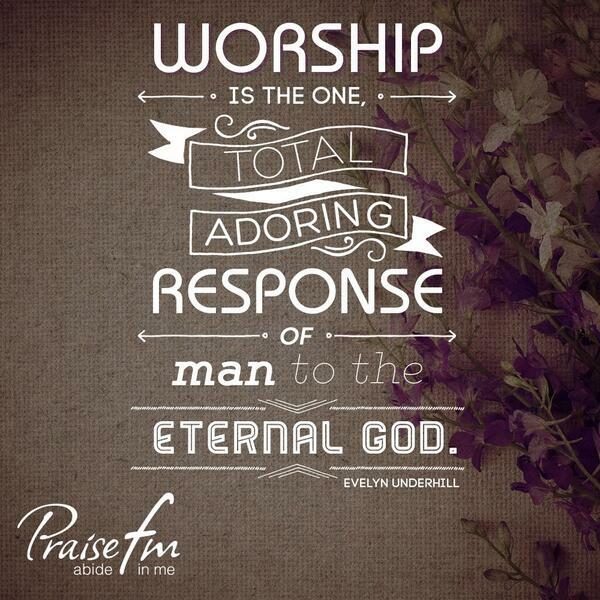 Worship is something that involves every aspect of our being. In John 4 the Bible says that our worship needs to be out of our spirit in adoration of God. God’s desire for us, is for us to truly, honestly worship Him. Out of every being of our soul – from the inside out. God’s desire is for us to solely just hang out in His presence. Worship is an encounter with God. If you look through the Scriptures, you look at Moses and what he experienced at the burning bush. When he hung out in the presence of God, that bush that was not consumed by the fire. He took his shoes off because he was standing on Holy ground. He was changed by what he experienced there. The Bible says that when he walked off that mountain, that he was aged years and years. And when we experience the presence of God we are different people. Worship is not just that feeling that we have at church. It’s not what makes us feel good while we’re in a certain place. Worships is when God takes our life and we truly encounter Him. Dear Father, I humbly bow before You, confessing that I am so often like the children of Israel. I confidently promise to live in obedience to Your will. Then I quickly stray from Your path and indulge my own will. Thank You for Your forgiving grace. Yet I earnestly cry out for more. I need Your transforming grace to renew my inner self in increasing obedience to You, through Jesus, my Lord and Savior. Amen.